If you’re like me, you’ve had a Valentine’s Day gift ready for weeks. If you’re like my fiancé, you’re just now realizing Valentine’s Day is tomorrow. Either way, there’s always room for last-minute gift ideas to show your loved one how sweet you are (literally and figuratively). You may have watched the SaveOnEnergy.com® video on making your very own truffles, but baking goodies isn’t everyone’s forte. Instead of going to your local superstore on your way home from work and picking up the first heart-shaped box of chocolates you see, shop around for Fair Trade Certified chocolates and let your sweetie know you put some extra thought into a sweet and yummy gift. Fair Trade USA is a nonprofit that certifies and audits transactions between companies in the United States and suppliers throughout the world, ensuring fair wages, safe working conditions and sustainable production. Fair Trade Certified products meet rigorous environmental, social and economic standards, and the Cocoa Program specifically ensures farmers receive fair prices and explicitly prohibits slave and child labor. At its core, Fair Trade USA certification means that the product you’re purchasing is of sound quality, is improving worker’ lives around the world and is helping protect the planet. Roses are red. Violets are blue. 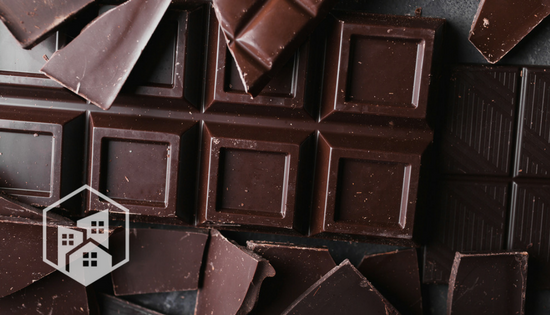 Fair Trade chocolate is sweet, and so are you. Finding Fair Trade Certified cocoa products isn’t difficult. In fact, many of your favorite retailers carry chocolate certified through Fair Trade USA. Stores such as Whole Foods, Safeway, Wegmans, The Fresh Market, Walgreens, Walmart, Target, Kroger and Publix (and many, many more) carry organic, Fair Trade chocolates! If you’re in a rush, just ask customer service where the candy aisle is – but the novelty of holiday-specific aisles may leave you empty handed. Just be sure to walk past the grade school Valentine’s Day candy before you really start shopping. *I’ve personally tried these yummy chocolates and can vouch for their deliciousness. 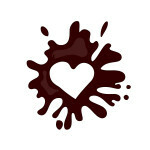 But there are plenty more Fair Trade chocolate brands that are sure to satisfy your valentine’s sweet tooth.